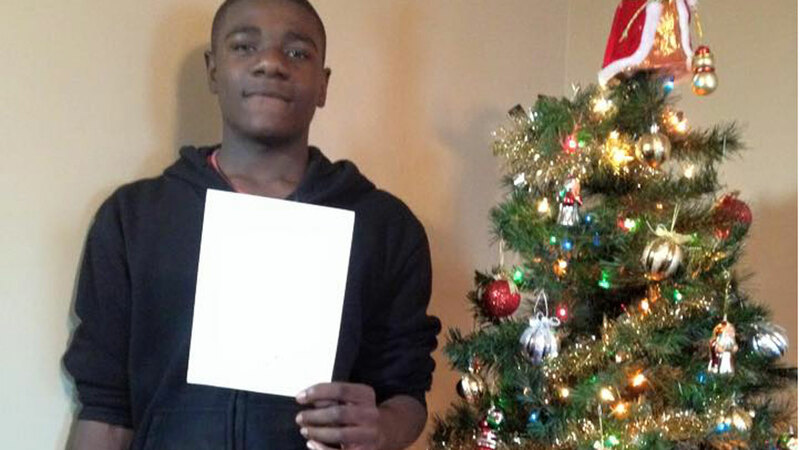 CHICAGO (WLS) -- Malik Bryant, 13, wanted one thing for Christmas: safety. The Englewood boy wrote about it in a letter to Santa Claus and President Barack Obama answered. "All I ask for is for safety. I just wanna be safe," Malik wrote in his letter after telling Santa about himself, his family and school. Obama then wished Malik and his family the best for the coming year, closing with, "I will be rooting for you." Malik was one of around 8,500 Chicago Public Schools students who wrote letters to Santa in a program run by Direct-Effect Charities. Someone in the program was touched by the request and had the letter forwarded to the White House.